There is an increasing recognition among designers, developers, and contractors that the costs of conserving energy and resources will result in benefits not traditionally considered when evaluating the bottom line. Implementing and documenting the use of sustainable materials and practices has become an integral part of the design and construction process. Precast concrete manufacturers have an opportunity and obligation to participate in the sustainability movement by supporting green building practices and by continually improving their plant operations to reduce their environmental impact. These important issues have been voiced to our national association, the Precast Concrete Institute (PCI), and they have responded. PCI is well known for their plant certification program that ensures quality and standardizes practices for precast plants and erectors. PCI has now established a sustainability committee to provide leadership through education, sharing of green building practices using precast concrete technology. A key initiative of this committee is the development of guidelines for sustainable practices to be incorporated into the operations of precast plants similar to their plant quality control program. Such practices would include water recycling and minimizing water use, dust and emissions control, and energy reduction. This will provide one more reason why it is imperative to specify a PCI Certified Plant for all Architectural Precast projects. 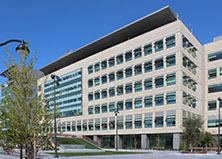 Willis Construction is actively engaged in the implementation of sustainable practices. 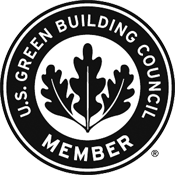 We are members of the US Green Building Council and have two LEED AP staff members. In this handout, we have done our best to address the most common questions about Architectural Precast as it relates to sustainability. Please take the time to review them and remember that "Going Green" means including Architectural Precast. President, Willis Construction Co., Inc. This document is provided in PDF format. Click here to download the free Adobe Acrobat reader if you do not have it.